“For any other kids going through cancer, I just want them to follow their dreams and when they’re feeling down to hold on to those dreams,” says 11-year-old Charlie Tait. Charlie, who lives in British city of Kent, took up ballet at the age of 3 to regain her strength and stamina following chemotherapy for kidney cancer. She told the BBC that she is now living her dream, even though she had to have her kidney removed as a toddler. 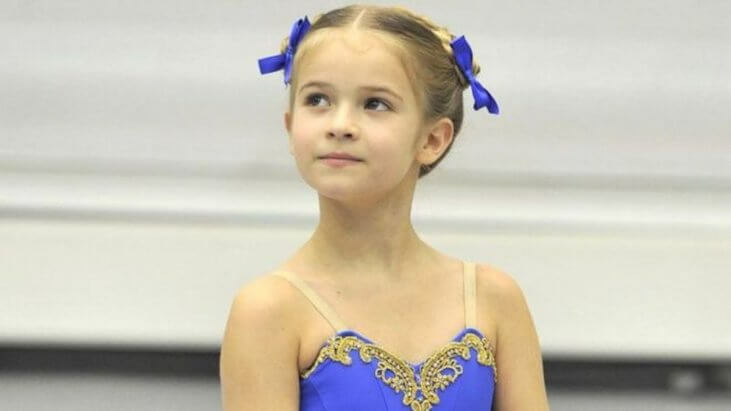 The tiny ballerina was invited to train with the professional dancers of the country’s Royal Ballet. It’s part of an awareness effort called Cancer Research UK’s Kids & Teens Star Awards. “She’s super talented,” said one of the dancers, Yuhui Choe. 11-year-old Charlie Tait was diagnosed with cancer as a baby, and took up ballet to build up strength after having chemotherapy. The awards celebrate “the courage of children in the UK who have been diagnosed with cancer,” and Tait is taking the honor to heart. She knows that while she was able to meet her role models and have a wonderful experience, there are lots of other children with cancer and other serious health issues who have not been so fortunate. Kidney cancer in children is extremely rare: Only 45-50 cases are diagnosed in the United Kingdom each year, according to Kidney Cancer UK, and the majority of these occur in children younger than 5. In the United States, as the National Cancer Institute explains, kidney cancer accounts for approximately 7% of all pediatric cancers. Wilms tumor (which can affect one or both kidneys) make up the majority of those cases, and the survival rates are getting better—for children younger than 15 years old with Wilms tumor, the survival rate increased from 74% in 1975 to 88% in 2010. Wilms tumor is often treated solely with surgery, but sometimes chemotherapy is necessary. Other types of kidney cancers include renal cell carcinoma (the most common kidney cancer in adults) and mesoblastic nephroma, which usually appears within the first few months of a child’s life.